The Search for the Death Date & Obituary of Daniel W. Strong (aka: Doc. Strong of Dutch Flat) Original Stockholder in the CPRR, Born July __, 1822 ; Died Nov. 21, 1889. DANIEL WEBSTER STRONG, Timeline of events in Dutch Flat, CA; 1855-1869, Prepared by Doug Ferrier of Dutch Flat. 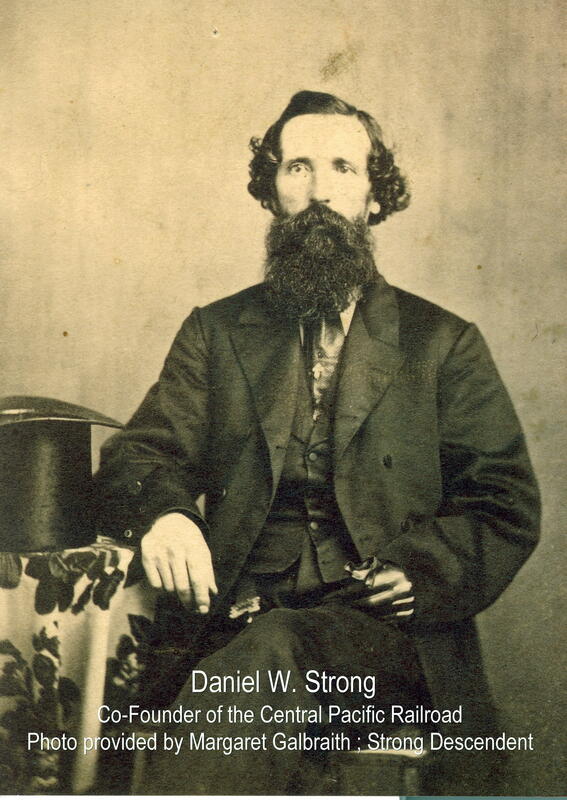 Daniel W. Strong, Co-Founder of the Central Pacific Railroad. Detail Photo courtesy of Margaret Galbraith, Strong Descendent. Does anyone know how I can contact Margaret Galbraith? I would like to get her person to use the photo in a video we are producing for the Truckee railroad museum. 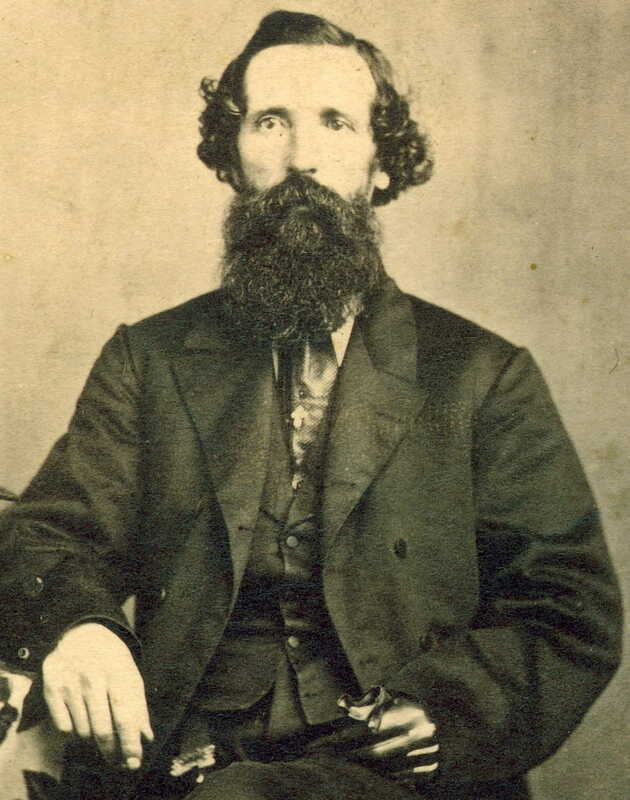 The Sierra Nevada route over which the Central Pacific Railroad was actually built, came at the suggestion of Dr. Daniel W. Strong, a druggist of Dutch Flat.